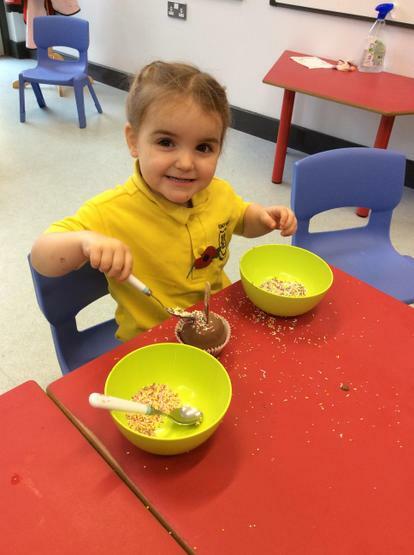 This month in Nursery we will be continuing to explore the topic of 'All About Me' and the new topics of 'Autumn' and 'Harvest'. 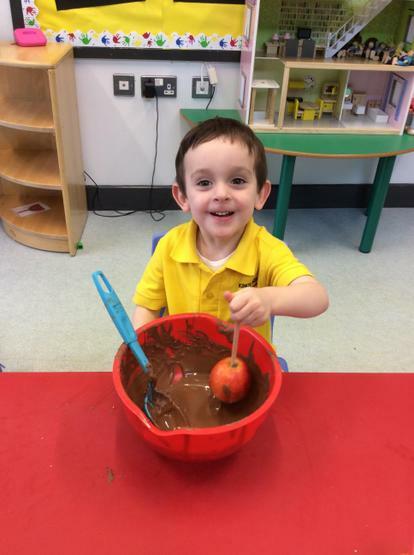 We will explore these topics through our play, both indoors and outdoors, Community Time learning and our Autumn walk to Lurgan Park. 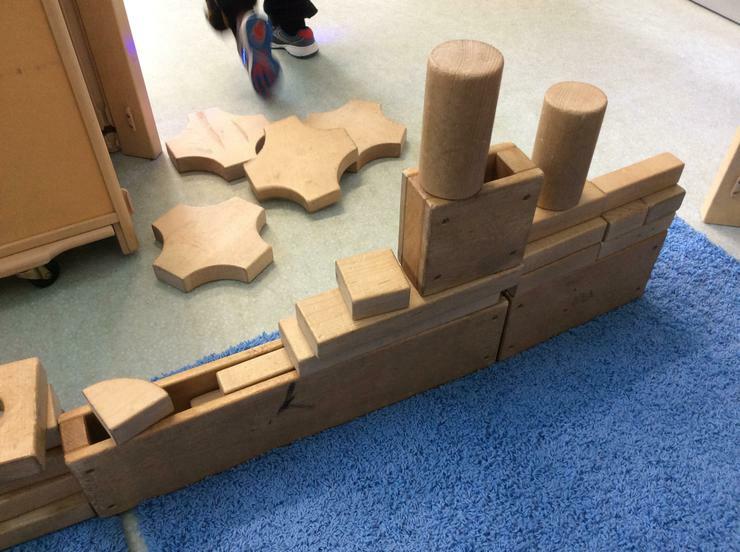 We will also be focusing on the colour, orange, and the shape, rectangle. 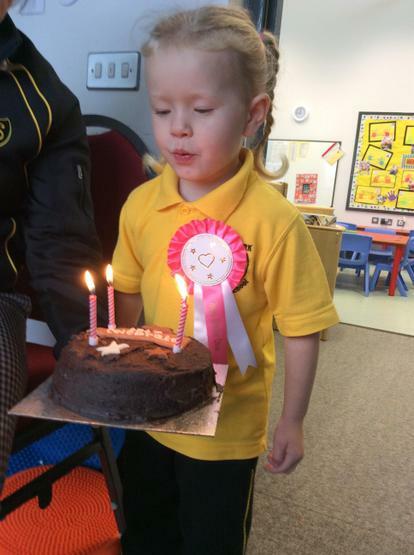 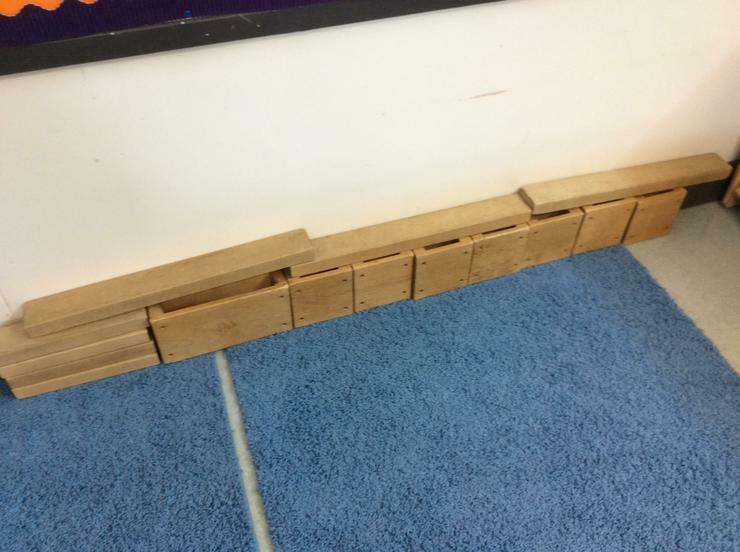 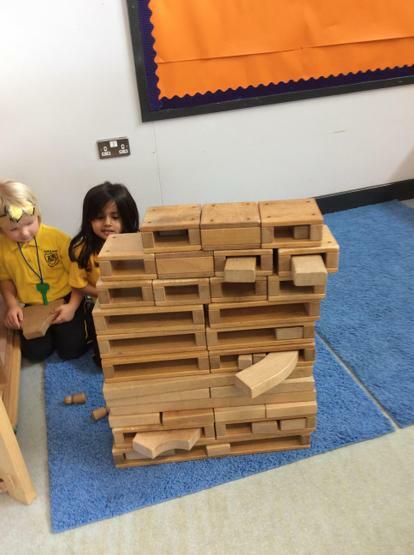 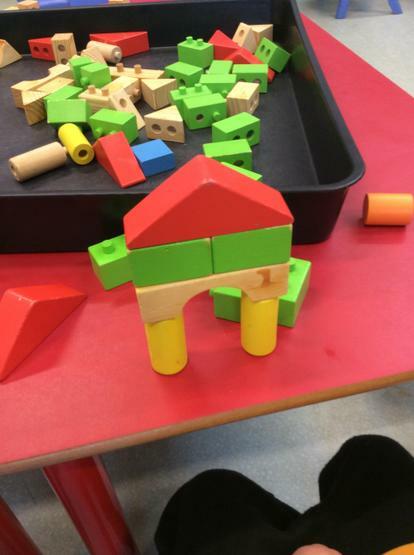 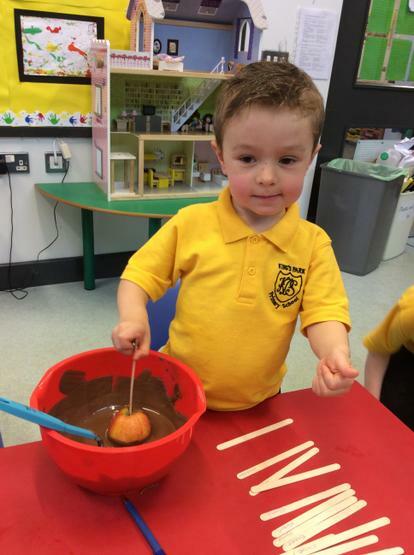 We are continuing to Learn the rules and routines of our Nursery. 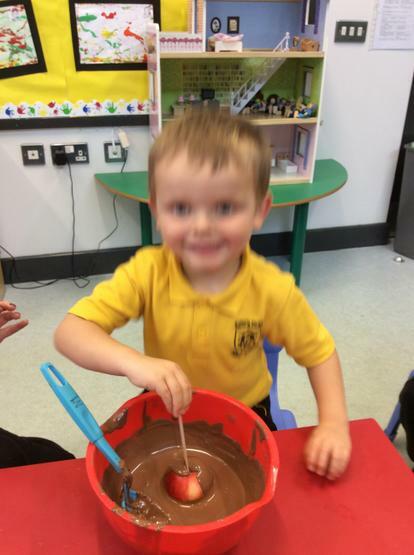 All children are now staying for dinners and learning to follow this routine with skilful interaction from the Nursery staff. 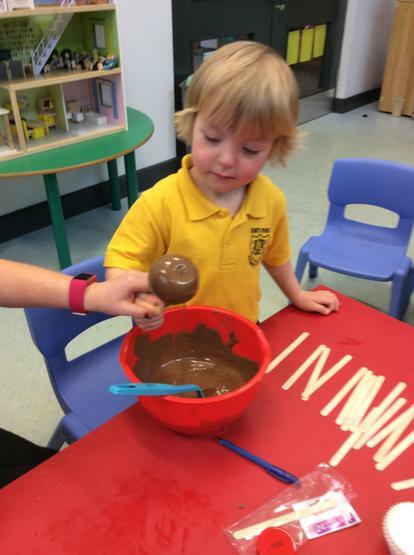 We all came to school on Friday 26th October in bright coloured clothing. 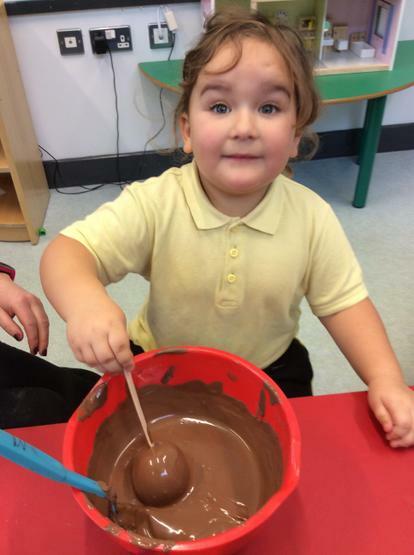 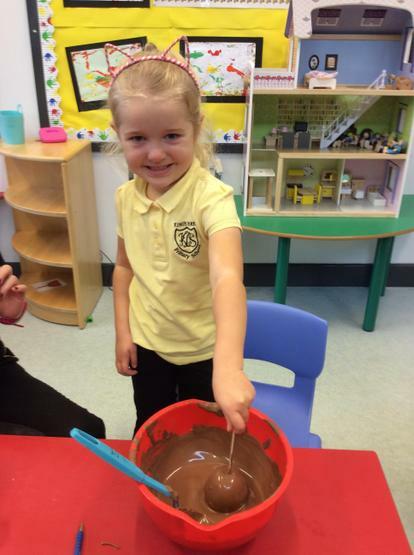 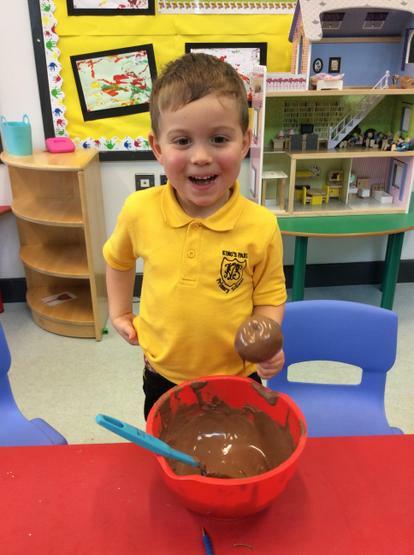 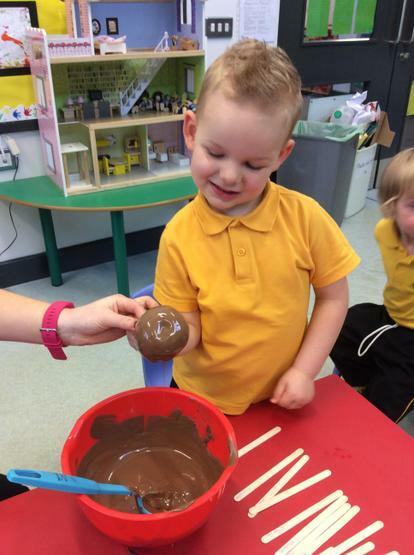 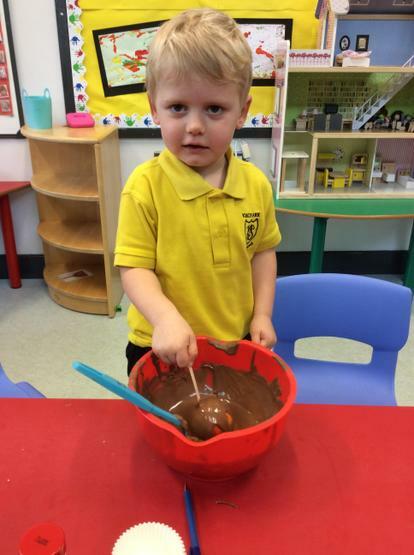 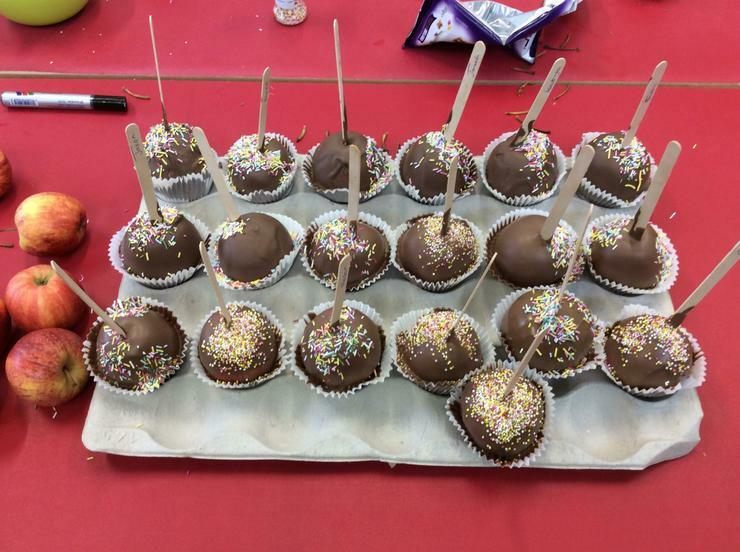 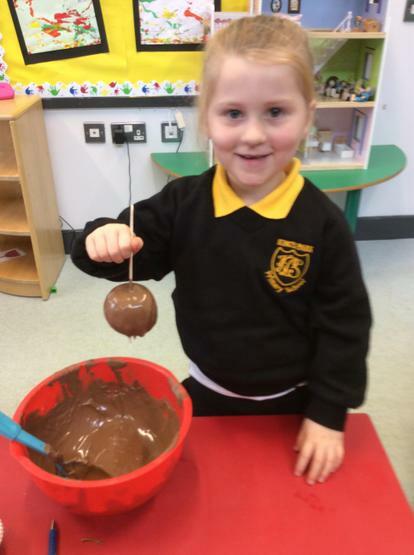 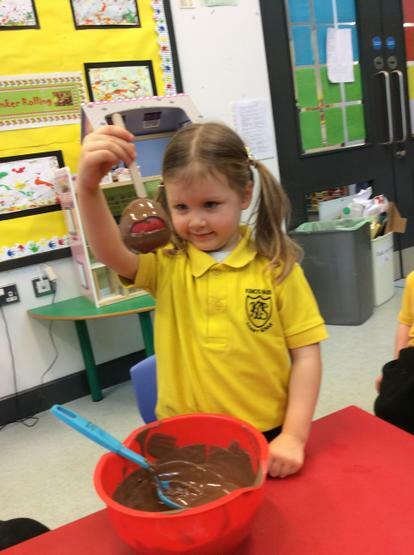 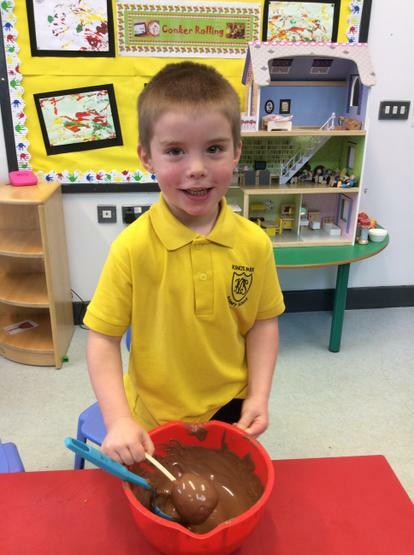 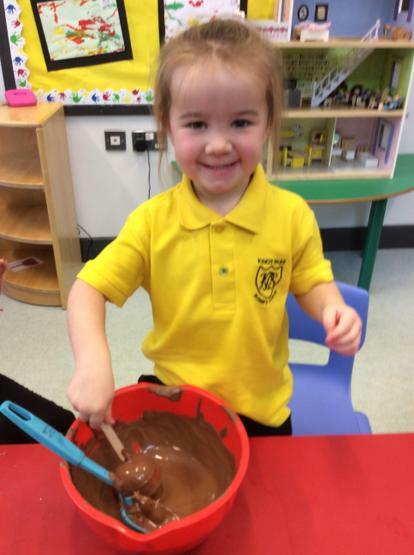 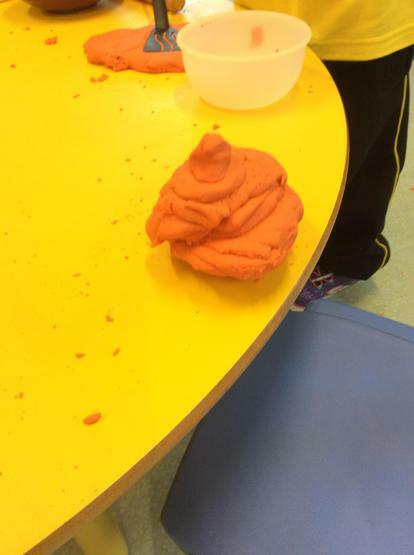 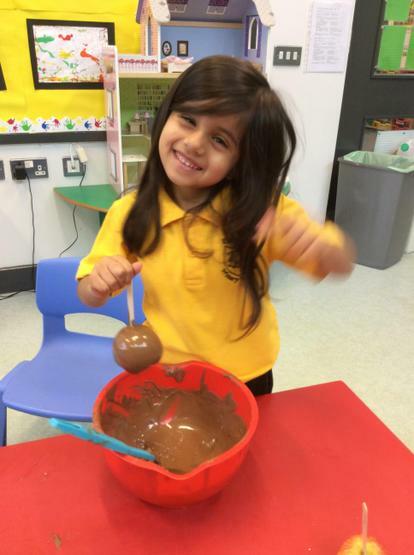 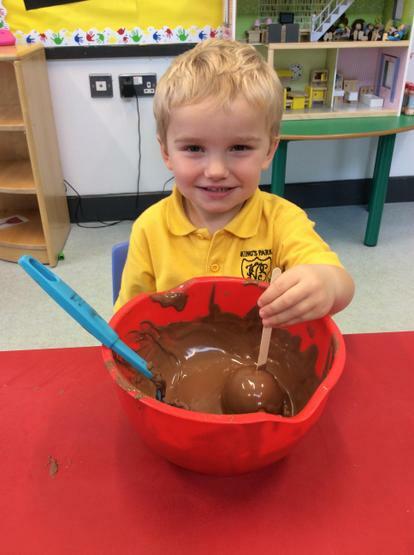 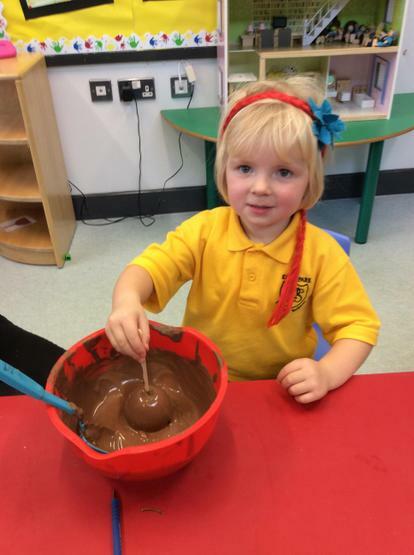 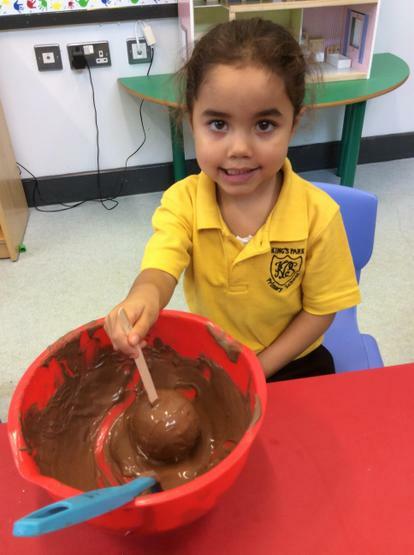 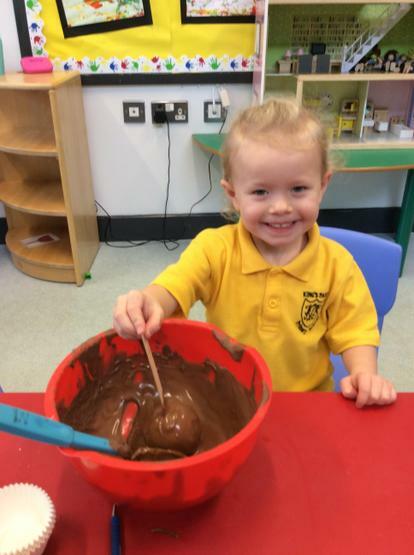 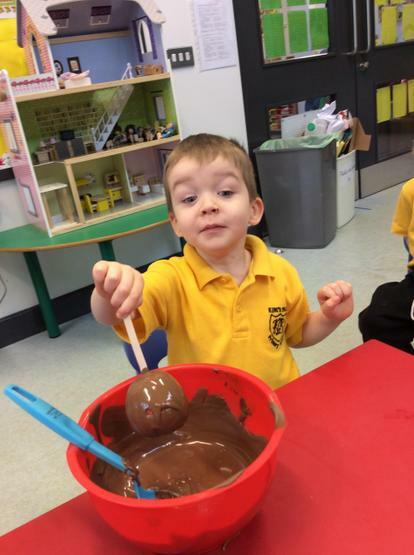 We had great fun making chocolate apples this month. 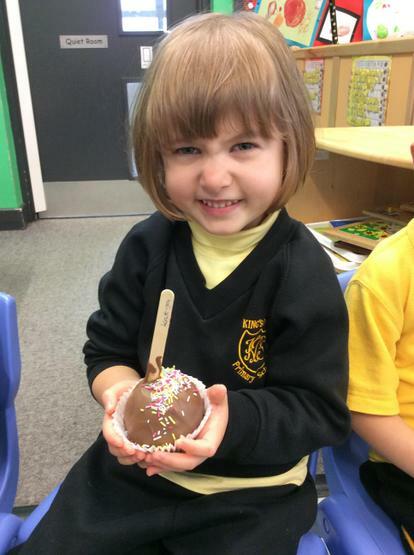 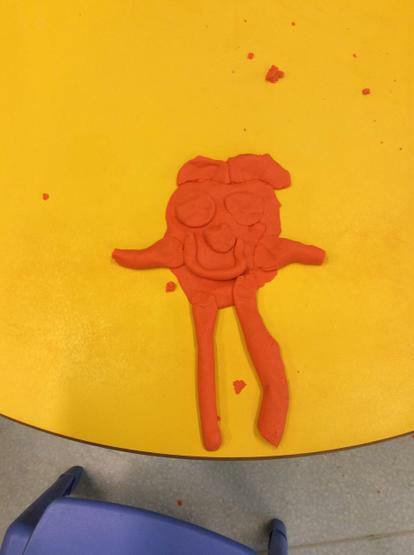 We made one each and took it home to eat.